I may have hit Mr. Smith multiple times, playfully and out of excitement of course. You didn’t think I was really going to hurt him? Jeez, way to think the worst of me. Why was I excited? Well, let me take you back. 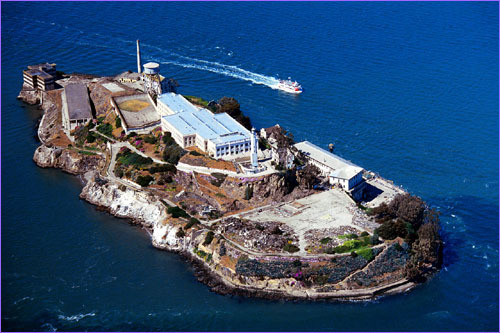 Years ago while visiting San Francisco I took the boat out to Alcatraz Island in the middle of the San Fransisco Bay. 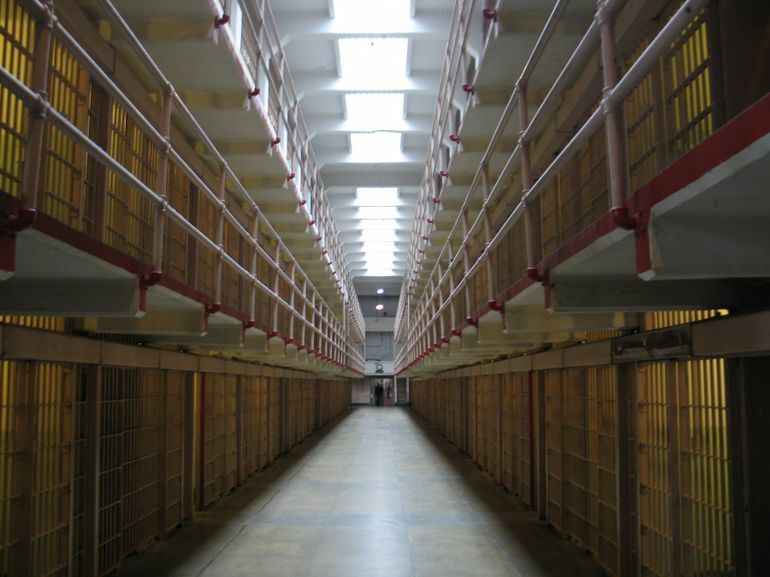 Alcatraz was a federal penitentiary where the worst criminals were sent. The prisoners landed themselves a spot on Alcatraz because they had caused problems at other prisons. Some of the most notorious criminals were sent to Alcatraz like Al Capone, “Machine Gun” Kelly, and Robert Stroud aka “Birdman of Alcatraz.” It was opened on January 1, 1934 and was closed by Kennedy on March 21, 1963. My visit made a lasting impression. I remember standing in the hallways with cold drafts of air while listening to headphones. 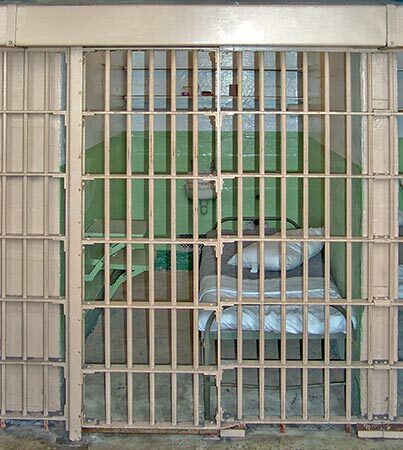 What a creepy feeling, hearing the criminals talk about the conditions there. I even wrote a paper and later gave a speech about the prison and my experience. Fast forward to when I was hitting Mr. Smith, I was thrilled because…. I saw the previews for the show Alcatraz. I eagerly awaited the start of the show. I waited to talk about it on the blog until I had actually seen the show. I wouldn’t dare think of leading you in the wrong direction by wasting your quality time on bad t.v. Gasp! I must know… are you watching Alcatraz? It’s on Fox, check your local listings. I have ulterior motives, I want the show to last and therefore I want them to have good ratings. I want to know what happens. If you haven’t seen it, it is from producer J.J. Abrams, who created LOST (and many other shows and movies.) I didn’t really watch LOST, from what I understand you only learned bits and pieces as the show went along. That is true of Alcatraz also.The premise of the t.v. show is that the closing of Alcatraz by Kennedy in ’63 was not true. The truth, according to the show, is that the inmates and guards vanished. And have now mysteriously reappeared 50 years later. I am still as fascinated with this prison as I was when I visited. I am obsessed with seeing these prisoners and their seemingly bizarre behavior come to life on the show. I say seemingly bizarre because often their behavior is rooted in an experience from the past. Each episode they are trying to figure out what made each of them act the way they do. It’s really good, in my opinion. Here is how crazy I am.. I saved the show and then watched on Valentines Day as one of my treats. Seriously who watches clinically insane criminals on the sappiest day of the year? Yours truly. Luckily I have gotten the husband hooked on the show, so we did watch it together.